If you are an avid fan of Street Outlaws, then you must be aware of the Dung Beetle. It is a Volkswagen Bug with tremendour power and speed. It is owned and driven by Jeff Bonnett who is also known as the AZN , the sidekick of Sean Whitley Farmtruck. Much like the well known Farmtruck, this car is also a certified sleeper. It is a Volkswagen Beetle that looks like a dung on the outside but underneath the hood is 1000Hp turbocharged precision T3/T4 engine backed by Rancho 4 Speed Transmission. Feel free to watch this badass VW Bug in action below. 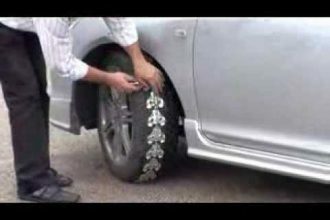 Check Out The Next Generation Of Snow Chains! White Ferrari LaFerrari Performs Wild Donuts In The Rain!